Below you can view all the homes for sale in the Stoneridge subdivision located in Suwanee Georgia. 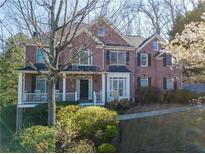 Listings in Stoneridge are updated daily from data we receive from the Atlanta multiple listing service. To learn more about any of these homes or to receive custom notifications when a new property is listed for sale in Stoneridge, give us a call at 404-998-4113. Minutes From Shopping And Dining At Suwanee Town Center. MLS#6524697. Remax Legends. Home Comes With A 30-Day Buyback Guarantee. Terms And Conditions Apply. MLS#6113963. Opendoor Brokerage, Llc. This Home Also Features New Flooring, Updated Master Bath, Guest Suite W/Full Bath Downstairs, Oversized Secondary Bedrooms, Double French Doors Leading To An Office/Sitting Room, & An Extra Wide Driveway. A Must See! MLS#6110269. Exp Realty, Llc..